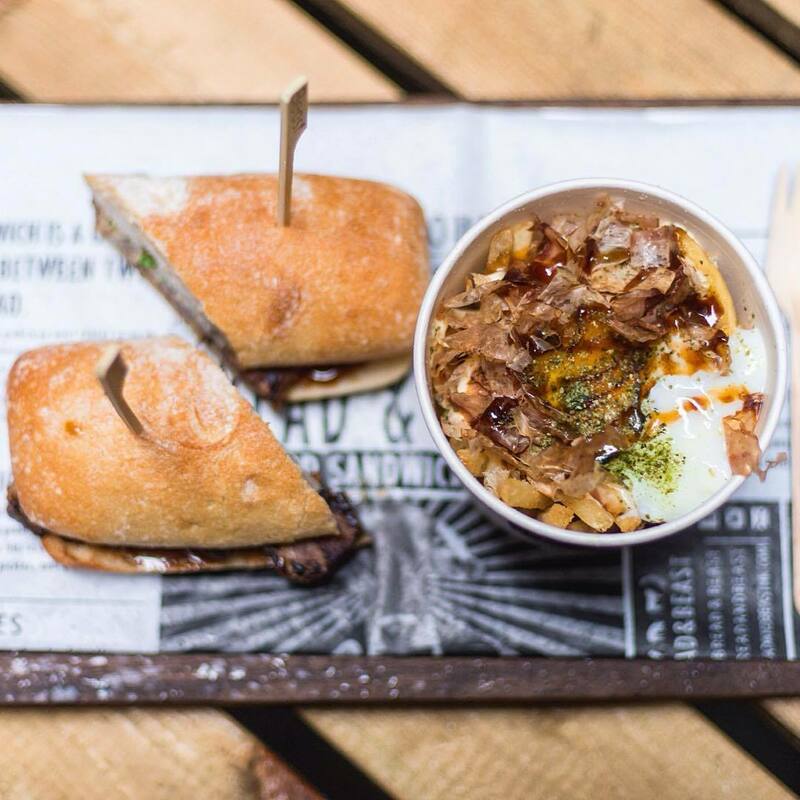 Synonymous with sandwiches, Bread and Beast’s sides are not to be overlooked. 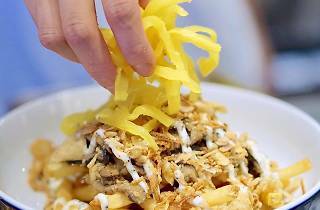 The Lennon Fries are smothered in okonomiyaki sauce, kewpie mayo and topped with a 63-degree egg and dried bonito flakes. The toppings lend the fries a flavour profile of traditional Japanese savoury pancakes and the perfectly cooked egg and velvety yolk make for some great dipping action. $38. Morty’s Delicatessen has quickly become a champion in Hong Kong’s sandwich scene, thanks to its New York-style deli classics like pastrami on rye and Reuben sandwiches. 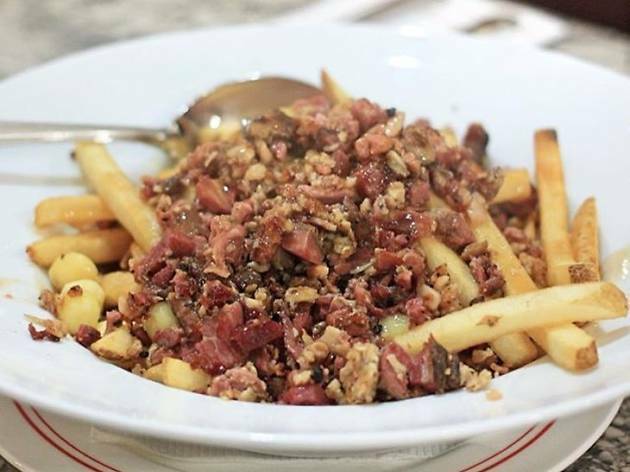 Morty’s smokes its meat in-house and the best way to get a sample is by opting for the ‘kitchen sink’ poutine. 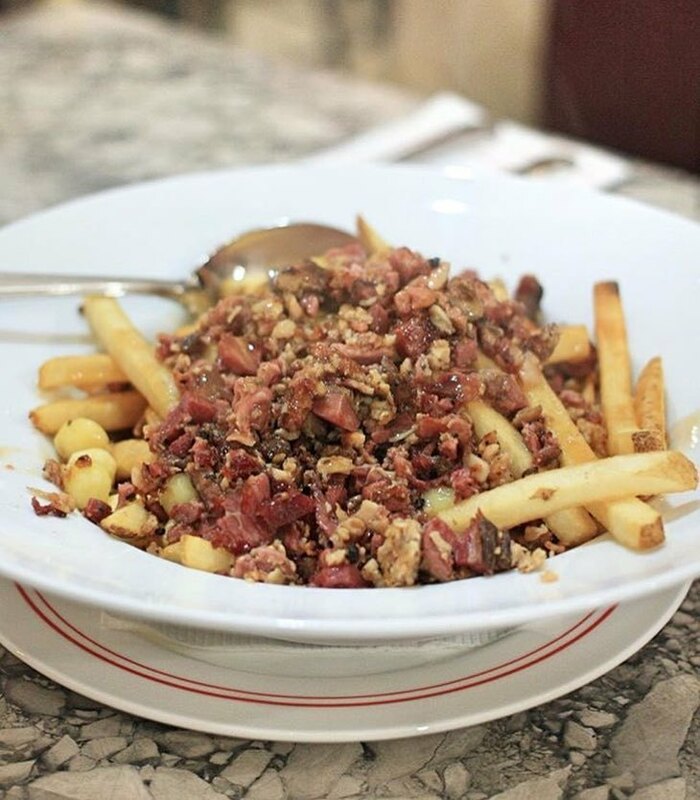 The fries come topped with a generous serving of cheese curds, homemade gravy, chili, pastrami, smoked duck and smoked chicken – good enough to make any Canadian weep. $98. 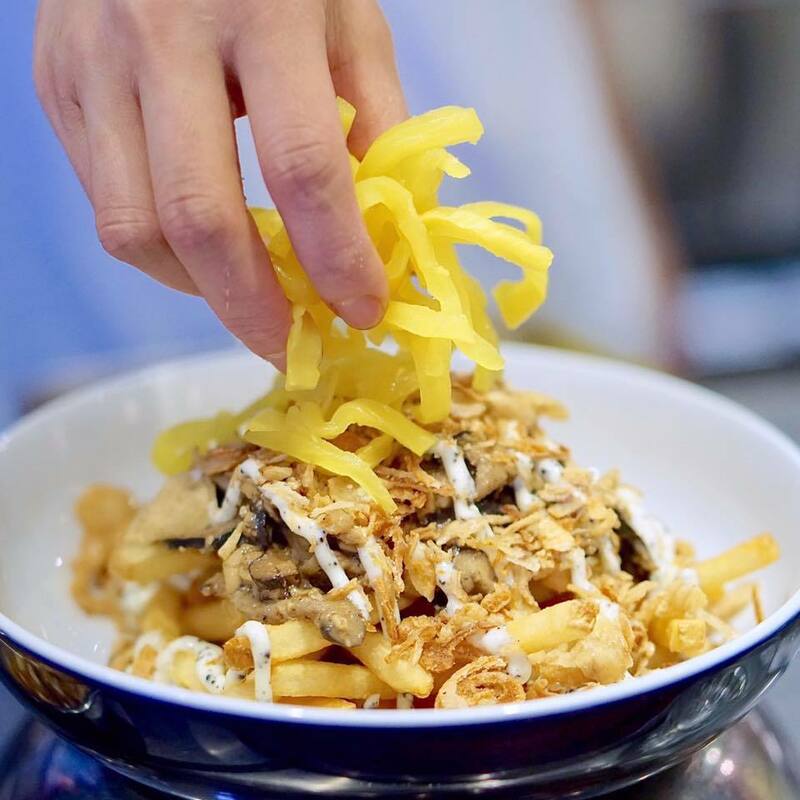 Korean fast food fanatics, looks no further than Seoul Bros. Having expanded from Central into Wan Chai with a second branch, it’s clear the K-kraze is here to stay. 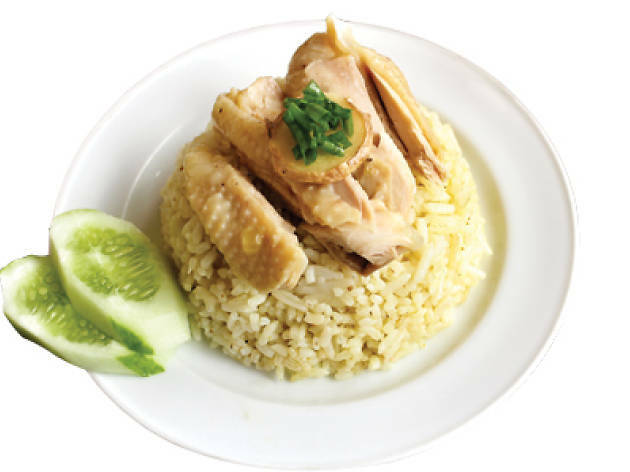 The menu features traditional Korean dishes such as bibimbap alongside fusion fare like beef and kimchi banh mi. 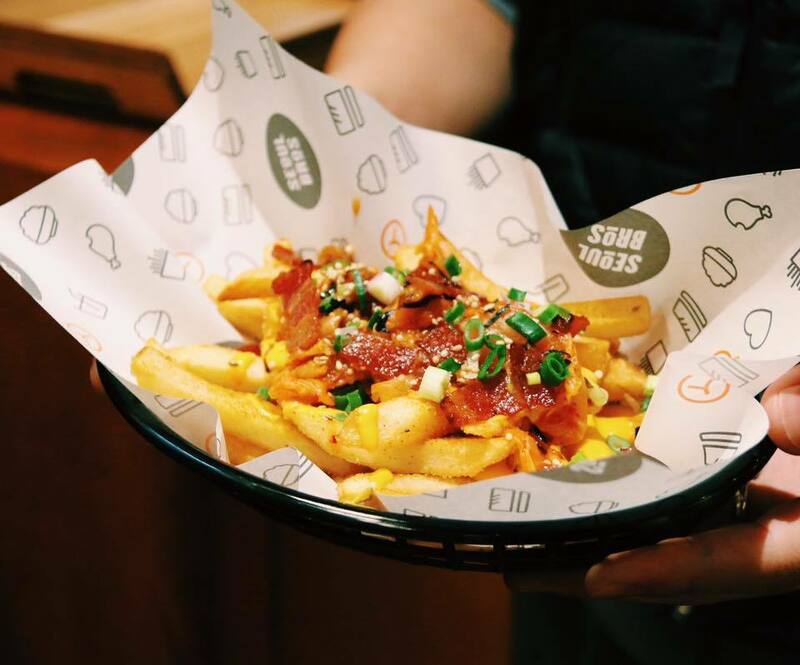 These options are best paired with some of the awesome fries topped with kimchi, cheese sauce, green onions and sesame seeds. You can also add some deliciously salty crispy bacon to the mix, if you fancy. 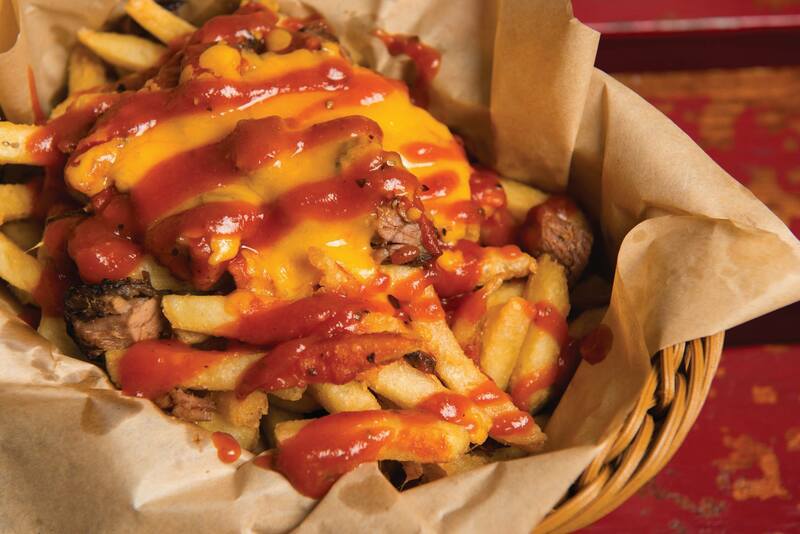 Treat yo’self. From $28. Purveyors of brilliant beers, The Roundhouse offers a great range of American classics to provide some carb-laden ballast for all that booze. 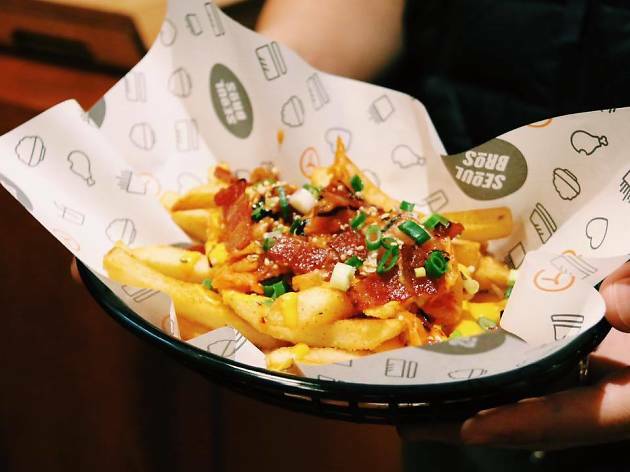 Stuff your face with the likes of ribs, barbecue chicken wings, mac ’n’ cheese, pulled pork, jalapeno poppers, sandwiches and burgers, but leave room for some of the best fries in Hong Kong. 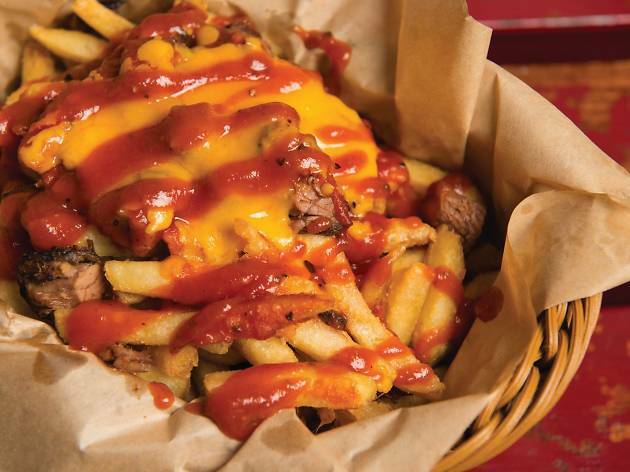 The brisket cheesy fries are the perfect marriage of liberal portions of beef and deliciously melted cheese. $78. 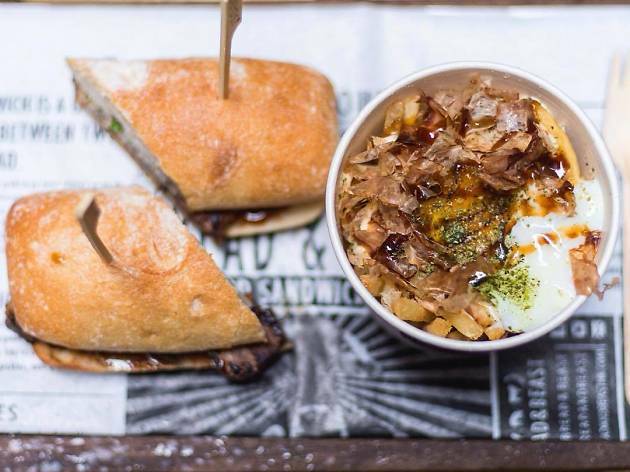 Little Bao’s cult following shows no signs of waning, thanks to its trendy baos and fillings such as Sichuan fried chicken with Chinese black vinegar glaze, Sichuan mayonnaise and coleslaw. 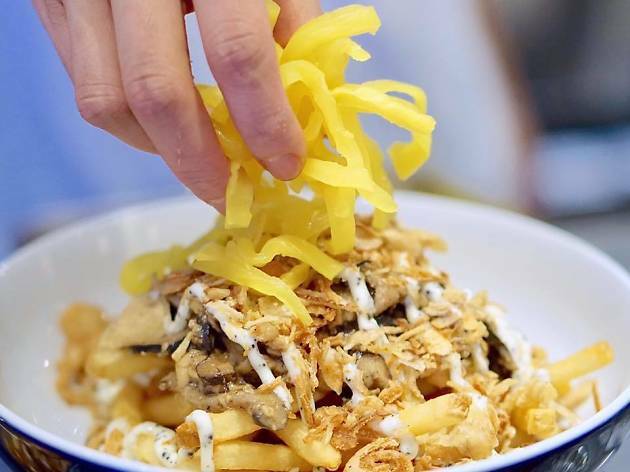 You’re going to need fries with that bao, so try the excellent truffle fries with shiitake tempeh, truffle mayonnaise and pickled daikon. And finish with a salt ice cream and caramel bao, because why not? $98. Central burger stalwart Shake ‘Em Buns has been around for almost a decade, serving up some of the best patties in town. 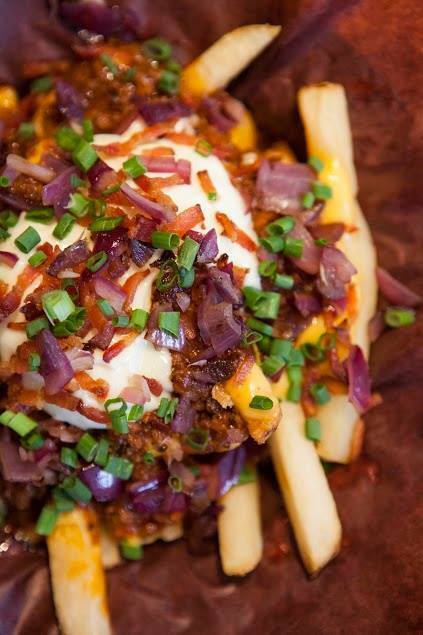 As great as the burgers are, the chilli cheese fries here are some of Hong Kong’s best, too. 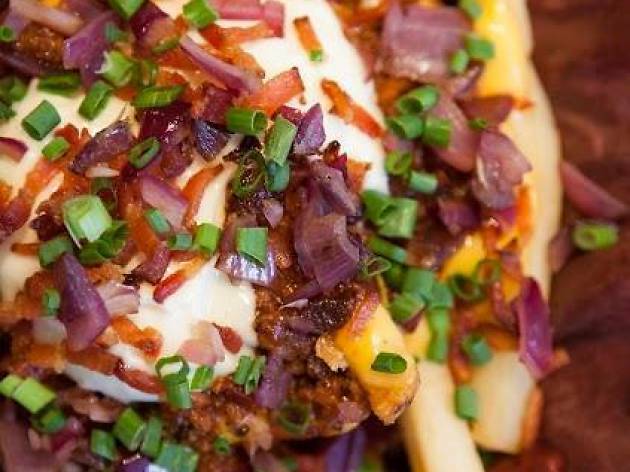 The fries are topped with a chilli made using dried and ground Galician beef mixed with black Angus beef – the same stuff used in the patties – and smothered with sour cream and chopped red and green onions. $68. 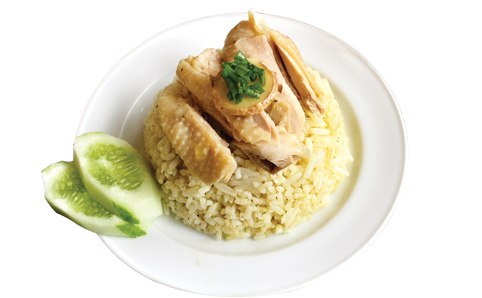 76 Wellington St, Central, 2810 5533; fb.com/theburgershopbyshakembuns.